Discussion in 'Friends and Family' started by datman24, Apr 10, 2019. I don't know how many of you are really that interested in my life, but if by chance you are, feel free to ask me anything that your heart desires. Any particular episodes/skits you would like to see someday? Well, I would to be able to watch the episode with Carol Burnett (that one was always my favorite growing up), the Roger Moore episode was also pretty good (I always got a kick out of his rendition of 'Talk to the Animals'), and the Alice in Wonderland episode with Brooke Shields was hilarious. I'd love to be able to see these episodes someday (legally). Too bad Disney is wasting their money on more unnecessary live-action remakes instead of securing the rights to the songs that would allow such a release to happen. Thank you for that question, I am sure that that was the show you were talking about when asking me if there were any episodes/skits I would like to see someday (legally). Do you have a favorite skit/sketch? There are many that made me laugh, it’s hard to pick just one. I recall the Alice in Wonderland episode with Brooke Shields where they were doing the trial scene but she could not come on stage and they just did it without her, but Kermit tried to stop it, but Marvin Suggs just kept on hitting him (I think that’s what happened). That one made me laugh out loud as I recall, assuming that you were clearly asking me about The Muppet Show and not any other show. 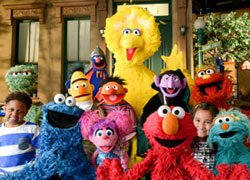 I meant Sesame Street, sorry. Oh. IDK, I guess any sketch that had Jim Henson and Frank Oz performing one-on-one. 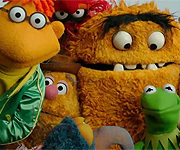 Those have, and still, got a kick out of me, but I got more laughs out of The Muppet Show, given that it was not restricted of being only educational. Not to say that I don't like Sesame Street. I have much respect for that show and what it did, but I enjoy The Muppet Show a tad bit more. If your knees bent backward, what would a chair look like?